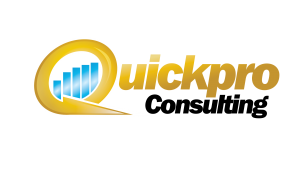 5 More Reasons To Use A Payroll Service - Quick Pro Consulting, Inc. | Quick Pro Consulting, Inc. Cost. Most businesses–especially small businesses with under 20 employees–can save money by outsourcing payroll administration. Consultants advise adding up the amount of time internal employees spend on payroll and evaluating the cost to the company. Include the cost of printing and distributing checks, creating tax documents, and bookkeeping. In most cases, payroll services will be able to offer the service for less, because they operate at volume, use sophisticated payroll software, and employ best practices. Productivity. Moving the payroll function offsite frees up internal staff to focus on higher-value pursuits that develop the business. Small-business entrepreneurs especially appreciate the freedom to focus on what matters most. As one consultant observes, “By focusing on what you do best and leaving the rest to a professional, you can devote more time to growing and managing your business.” Payroll service staff are typically able to complete payroll administration more quickly, since they have the benefit of expertise, volume, and software. Accountability. Payroll comes with a thicket of IRS rules and regulations. Outsourcing the payroll function typically shifts responsibility for legal compliance onto the payroll preparation service. BusinessWeek estimates that forty percent of small businesses pay a penalty to the IRS each year for improperly filing their payroll taxes. Payroll companies are less likely to incur penalty charges for late or inaccurate paperwork. Most companies back their work with a guarantee. Legal Compliance. A payroll service has the expertise and resources to complete payroll paperwork accurately. With respect to legal compliance, payroll services are able to keep pace with complicated, changing legislation and tax obligations associated with payroll. Businesses can count on a professional payroll service to meet filing deadlines and make timely and accurate deposits. Payroll services can be particularly helpful for companies with a dispersed workforce, since payroll laws tend to vary from state to state. Better Service. Payroll preparation services have a natural advantage over an internal team in providing quality service. Again, important factors such as access to payroll technology, expertise, and volume are at work here. Employees can count on an accurate, timely, and professional paycheck from a payroll company. They are more likely to have access to premium payroll services such as a self-service online reporting portal and direct deposit. Payroll administration can bog down a company’s internal staff, diverting attention from more important activities related to developing the business. Professional payroll preparation services allow businesses to save money and improve productivity. At the same time, a professional service affords access to payroll experts and advanced technology, ensuring that the paperwork is completed on time and accurately. For most businesses, putting payroll in the hands of experts is not only a relief–its also a smart move.